A new format designed for the needs of Division III. Disclosure: The author of this preview is also the tournament director and a coach for High Point University, who is competing in the tournament. Ultiworld’s 2019 college coverage is presented by Spin Ultimate; all opinions are those of the authors. Please support the brands that make Ultiworld possible and shop at Spin Ultimate! 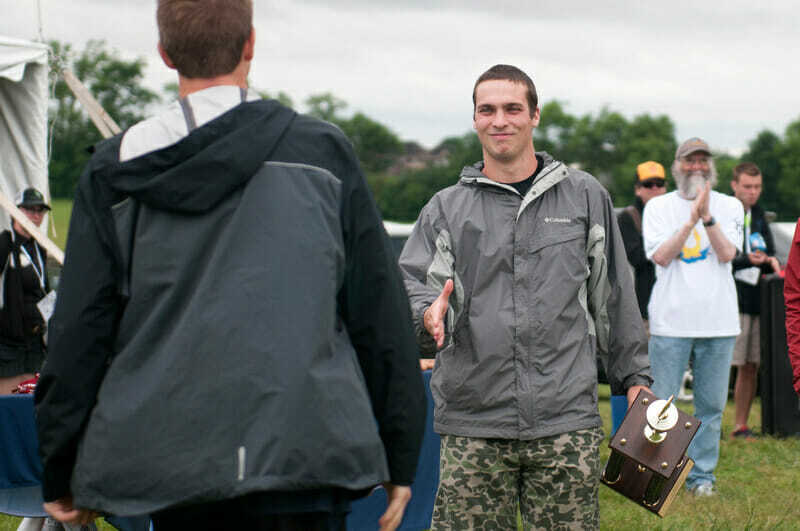 USA Ultimate has created a formats manual that is an excellent resource for tournament directors, providing TDs with formats for almost every circumstance. It simplifies the lives of TDs, conference coordinators, and regional directors every year by laying out the format to use in the postseason. However, regular season tournaments are a different proposition. With no following tournament to qualify for1, the stakes are lower and the priorities are different. Teams have a variety of reasons for playing: player development, playing new teams, measuring themselves against elite competition, etc. This is especially the case in Division III. Smaller rosters and smaller budgets mean that teams don’t travel as far or as often. There are many programs which, at this point in the season, are just playing in their first tournament. It’s common for teams to only schedule two tournaments, with only one of those tournaments outside of their region. So how do those teams get the most out of these tournaments? The advancement focus of the Formats manual isn’t conducive to the needs of D-III in the regular season. With this in mind, the TDs of FCS D-III Tune Up are utilizing what we are calling the “Shootout” format. 21 D-III teams from all over the country are coming to Bermuda Run, NC, and getting put in one big pool. From there, matchups were selected with the intent of creating a schedule for every team that features connectivity, the opportunity to play top competition, and the chance to battle with equally skilled opposition. The result is a schedule where each team plays at least one opponent who qualified for D-III Nationals in 2018, and no team plays more than two games against in-region opponents2. The only drawback of the format is no distinct winner, as there’s no bracket or championship game. Games will be available after the tournament for Ultiworld Full and Plus subscribers! With no bracket to play for, a “winning weekend” will look a little bit different for every team here. We’ve broken teams into group to outline what all 21 teams will consider a “win” on the weekend. A late addition to the tournament after failing to qualify for Stanford Invite, #1 Air Force Afterburn enters the tournament as the top team in the country and current favorite to bring home the championship this May in College Station. In their first action of the season against elite D-III competition, Afterburn will be looking to affirm their top ranking and frontrunner status. The timing of flights on Sunday means that Air Force will play five games on Saturday and only two on Sunday, testing their depth and fitness. Expect the talented senior trio of Alan Villanueva, Noa Chun-Moy, and Matthew Moshea to lead Afterburn to a strong weekend and lay down a marker for the rest of the division. Air Force’s toughest matchup of the weekend will come in the Saturday night showcase game against the #2 Middlebury Pranksters. Venturing south from the frozen landscape of Vermont to play in their first sanctioned games of the season, the Pranksters have a history of utilizing the entirety of their roster, but that by no means suggests they won’t be aiming to win every game. Middlebury’s roster is filled with talent from top to bottom. Quality role players compliment their stars perfectly, with players like Ian Hanson (handler defender) and Asher Lantz (deep threat) knowing their job and doing it well. If the Pranksters can shake off the rust early on, they’ll be the favorites in almost every game they play this weekend. Also playing in their first sanctioned action of the season, the defending Ohio Valley champions enter the weekend with some questions to answer but National Championship ambitions. The #4 Oberlin Flying Horsecows might be the most athletic team in the country. Julian Bregstone is an elite cutter defender, and, last year, Noah Zobel might have been the best aerial threat in the division. This year, he might not even the best aerial threat on his own team: the addition of Jordan Armstrong from the Oberlin basketball team gives them one of the best athletes in the division. The question for the Flying Horsecows will be who steps into the center handler role vacated by the graduation of Toby Harvey. If they can adequately replace Harvey’s touches and get the disc downfield to their athletes, the Flying Horsecows will put on a show in Bermuda Run. With thirteen sanctioned games already under their belt, the #5 Richmond Spidermonkeys are the most tested team in the division so far this season. With a large contingent of underclassmen on the roster, Richmond made roster development the focus of their early season tournaments. With those reps under their belt, it’s time for the Spidermonkeys to show they have the talent to be contenders on the National stage. With four games on their schedule against teams who qualified for Nationals in 2018, including all three of their Sunday games, Richmond ended up with maybe the most challenging schedule at the tournament. By the end of the weekend, we’ll know just how much their early season development has paid off. In college ultimate, there are opponents teams must face beyond the ones that line up across the field from them. One of these opponents is the school calendar, and, unfortunately, #11 Davidson DUFF is falling victim to this opponent this weekend, with their spring break falling this week and leaving them with a shorthanded roster. Combined with some nagging injuries picked up at their first tournament this season, DUFF will be far from full strength this weekend. That said, Davidson is traditionally a deep and well-coached team; they will still be challenge for any team they see this weekend. #13 Mary Washington Mother of George entered the season at #3 in the Ultiworld Power Rankings and with expectations of being contenders for a semifinal spot at Nationals. A humbling experience with a shorthanded roster at Mid-Atlantic Warm Up in their first tournament of the season has adjusted expectations for MoG, but overlook them at your own peril: they still have the talent to beat anyone they face this weekend. 5th year cutter Joe Richards is well-known, but the rest of the Mary Washington roster is impressive in their own right. Led by the talented trio of captains Harper James, Tony Clark, and Beau De Koninck, MoG will look to prove that their first tournament was a fluke and the early season expectations were spot-on. Not since 2015 has the Metro East had a back-to-back champion in the men’s division of D-III. #14 RPI Trudge is looking to break that trend. Making the long trip down from New York to warmer weather, Trudge will be playing in their first sanctioned action of the spring season, and they have some moving parts to figure out. The loss of captains Andrew Yale and Alex Curreri is major, and they’re being replaced by a trio of junior captains: Devin Malanaphy, Adam Alper, and Alec Krasinski. 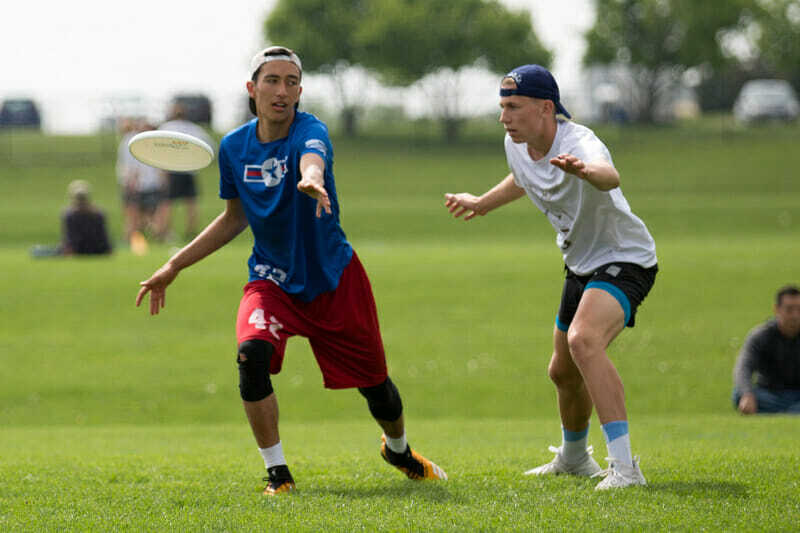 Look for coach David Ferraro to spend this weekend figuring out the best combinations on both sides of the disc as Trudge work to prove that last year’s success will be duplicated this season. Graduating a star player is always difficult, but graduating the best player in the country is something only one program faces every season. #15 Georgia College Disconnected is the team facing that challenge this year, as they look to replace the absurd production of 2018 Player of the Year Nathan Vickroy. Disconnected typically runs with a smaller roster, and this year is no different, with just 18 players making the trip to North Carolina. This means lots of run for Georgia College’s top players and plenty of opportunity for the team to develop new stars. Expect to see a heavy dose of Jacques Perivier, Rylan Gordon, and Alec Powers. Making the long trip from Rolla, MO, is #16 Missouri S&T Miner Threat. The defending South Central champions made a surprise run to Nationals in 2018, and this weekend is the beginning of their journey to prove last season was no flash in the pan. Playing in their first action of the season, Miner Threat won’t have long to get to top speed, with two games on Saturday against top five teams. Led by senior Brendan Carriel, S&T will be looking to keep the momentum going from their fall season with a strong spring debut this weekend. The teams in this group are either programs on the rise or programs with past success who are rebounding from a development period. #21 Xavier B.L.O.B. has seen progress in how long their season lasts in each of the last four seasons, losing in the semifinals of Regionals last year after going undefeated in pool play. Weather cancellations have made this weekend their first tournament of this season, and, led by seniors Sam Settlemyre and Eric Coglianese, B.L.O.B. will be hoping to land a win over one of the three 2018 Nationals teams that they face this weekend, proving that they can challenge for a spot in this year’s Nationals field. Florida Tech FIT has seen meteoric growth over the last four seasons. A program with just 14 men’s players and 1 woman in 2015 now features 40 men spread across two teams and a women’s team with 15 players. After losing in the semifinals of Regionals on double game point to Georgia College last year, FIT entered this season with high expectations and suffered a disappointing showing at Royal Crown Classic to start their spring. Led by top end talent like Bobby Rogulski and BJ Barrett, Florida Tech will look to use this weekend to reshape the narrative around their season and show they should be considered as serious threats in the Southeast. Since their last Nationals appearance in 2015, Elon Big Fat Bomb has struggled to return to the standards the program established for themselves. After a few years of development, Elon has their strongest team in years and is knocking on the door of national relevance once again. Led by Ethan Gould, Sam Alston, and Connor Whiffen, Elon will have plenty of chances to show that they belong in the Top 25, with all four of their Saturday games against teams who qualified for Nationals a season ago. After a three year streak of going to Nationals that included a championship and two 5th place finishes, last year was a setback for Franciscan Fatal, where they finished 7th at Regionals after graduating the group they referred to as the “Cincinnati Boys.” This year was looking like a development season for Fatal until the rosters came in for this weekend, where Franciscan revealed the secret of Dom Schuster returning for a 5th year. The 2017 Offensive Player of the Year changes the dimensions of the field with his throwing ability and instantly makes Franciscan a challenger in the region. This weekend will be about the rest of the roster proving they have the talent to surround Schuster with enough weapons to make a run at Nationals once again. The teams in this division are mid-level Regionals teams who will be focusing on development this weekend while still having enough talent to pull off an upset if they’re overlooked. After experiencing a couple of trips to Nationals, the UNC Asheville Bulldogs took a step back last year, finishing 4th in the Atlantic Coast and lacking the depth to challenge the top teams over the course of the weekend. The Bulldogs return top-end talent once again in Jacob Warshauer, Dean Merritt, and Wilson Matthews, and this season will be valuable development for the rest of the roster to get experience that will pay off at Regionals. Navy Poseidon is another team consistently in the middle of the pack in the Atlantic Coast, and after graduating captain Spencer Cobb, this season will be a rebuild. Poseidon struggled at their first tournament of the spring, finishing with a 1-5 record and not really competing against the quality opponents they faced at Oak Creek Challenge. The highlight of Poseidon’s weekend will be the opportunity to face their brothers from the Air Force Academy, no matter the result. The Messiah Falcons are an annual presence at the competitive Ohio Valley Regionals, but they have failed to make it any further than that. Unfortunately, this year looks no different, as the Falcons look like they’ll finish in the middle of the pack once again. The graduation of Aaron Olney leaves Messiah with a big hole to fill, and in their first tournament of the season, expect the Falcons to spend much of the weekend learning who will takeover Olney’s spot. Samford Dogma had their best season in 2018, making a run to the game-to-go at Regionals. The graduation of Carter Rae is a big loss, but he returns as coach in 2019. Jordan Chambliss and Colton Bassett will play even bigger roles for Dogma this year, and if the rest of the roster also steps up into their bigger roles this weekend, Samford has a schedule that presents plenty of opportunities for wins. While this tournament presents an excellent opportunity for these teams to challenge themselves, it’s unlikely that they’ll notch any meaningful results on the weekend. The Berry Noble Savages have established themselves as a consistent program, but they just haven’t developed the talent yet to compete at the highest level. Captain Miles Lally, who spent his freshman year playing for Darkside at UNC before transferring to Berry, is talented, but until some more of the roster steps up, Berry will struggle against the stronger programs at this tournament. After graduating the inaugural class of the program in 2017, High Point Bagheera started a rebuild in 2018 that’s continuing into this season. With three sophomores and 11 freshmen comprising most of the roster, Bagheera will be utilizing the weekend as an opportunity to expose their young team to elite opposition. Anderson Alchemy and the Campbell Camels are both in their first ever sanctioned seasons, and both teams are taking advantage of the chance to see exactly where they stand against some of the nation’s best teams. Not much is known about these two fledgling teams, but new programs are essential for the growth of the division, and it will be exciting to see what these teams are capable of. Comments on "FCS D-III Tune Up 2019: Tournament Preview (Men’s)"